This album was mixed from 24 track 2 inch ATR tape by Al Schmitt (except for #14). All songs were mastered from ½” analog tape by Bernie Grundman. 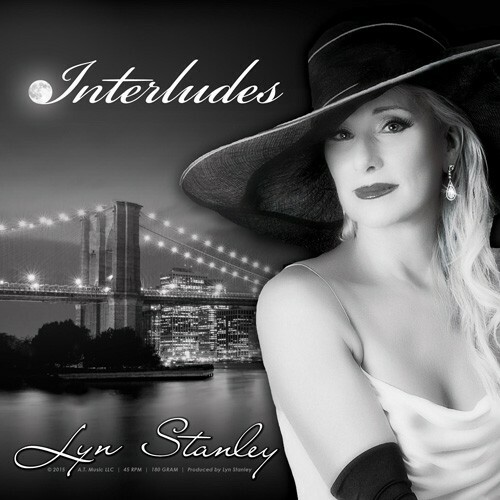 The unique sultry jazz vocalist from the Los Angeles area turns up the wattage on Interludes, starting with the opening selection "How Long Has This Been Going On" a capella. "Just One Of Those Things" employs a creative Bill Cunliffe arrangement — Stanley is heard during one chorus having brief duets with bassist Chuck Berghofer, guitarist John Chiodini and pianist/arranger Bill Cunliffe before the full group joins in. Other tuneful highlights include "Black Velvet," "More Than You Know," and "Boulevard of Broken Dreams." The lowdown and rockish "Whole Lotta Love" and the always eerie "Last Tango In Paris" find Stanley putting timeless feeling into more contemporary songs. Great guest artists such as Hendrick Meurkens on harmonica appear on "Don't Explain," and Stanley begets a fine swing on "Nice 'n' Easy" and a sweet and lush interpretation on Duke Ellington's "In A Sentimental Mood." Her interlude concludes with a heartfelt duet with guitarist Chiodini on "I'm A Fool To Want You," that's full of longing and desire. Musicians on "Black Velvet," "Whole Lotta Love," "Last Tango In Paris" & "It's Crazy"
1. How Long Has This Been Going On?